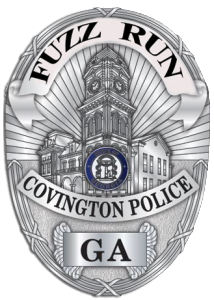 Welcome to the Covington Police Department’s Fuzz Run website. We look forward to working more closely with our community and having over 3,000 runners this year! Over the years, we have been asked numerous times where the money raised from the Fuzz Run goes, and I would like to take a moment to answer that question. All proceeds raised from the Fuzz Run go to our Police Who Care, Inc. (PWC) Fund. The PWC Fund was created over 30 years ago as a means to help Covington Police Officers with medical bills and other financial difficulties. Over time, the fund has evolved into much, much more than that. As funding for the PWC grew through the Fuzz Run, so did the CPD’s generous heart. The CPD is already at that heart of its community, and seeing people and organizations in need created a desire to help and make a positive impact where it was needed most. In September 2010, a PWC board of directors was established to oversee the distribution of its funds. The PWC board decided to begin making contributions to the families of Georgia law enforcement officers who die in the line of duty. Through time and the evolution of the Police Who Care, both families in need and charities are benefited through its generosity, which is largely made possible by the 2,500 or more runners who participate in the Fuzz Run annually and the sponsorship of community business. It is an honor and a privilege to be a part of such a generous department and community. 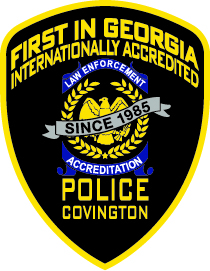 I am proud to call the men and women of the Covington Police Department my brothers and sisters. It is a blessing to be a part of this wonderful community. I would like to thank everyone for their participation in the Fuzz Run and for helping to make it a success for so many years now.